Liberian President Ellen Johnson Sirleaf says water is an essential source for growth and development and called for sustained partnership to ensure access to clean water globally. 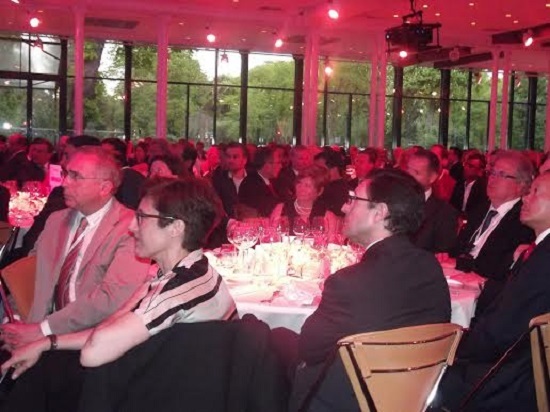 She told a gathering of over six hundred participants at the 2014 Global Water Awards Ceremony in Paris, France that governments and investors need a dialogue that will ensure private-public partnership that will ensure the availability and access to water globally, thus promoting investment and enhancing growth. President Sirleaf said nearly one in ten people lack access to safe water and one in three are without access to basic sanitation – much of this is occurring in the developing world. She stressed that while 2015, as the end date of the Millennium Development Goals target to reduce by half the proportion of people with access to safe drinking water and basic sanitation has almost been met, nearly 350 million people in sub-Saharan Africa, about one-third of the continent’s population will still be without safe water. President Sirleaf told the assembly of ministers, policy makers, CEOs, corporations and technicians that an estimated 62 percent of the world’s population now has access to protected water sources – pipe borne in the capital city, wells, boreholes and hand pumps, spring and harvested rainwater elsewhere, only a third of that population has access to water sources with adequate yield all year round and only 14 percent has access to sanitation. In Liberia, the President noted where there is plentiful water, the second highest rainfall in the world at more than 200 inches per year, reflecting an endowment of 43 percent of the rain forest biodiversity of West Africa, until the commencement of recovery in 2003, the majority of Liberian children did not know pipe borne water for drinking, hygiene or sanitation. President Sirleaf said between 1990 and 2010, more than two billion people gained access to basic drinking water. However, almost 800 million people still remain without; some two billion people lack access to continuous, safe water; and by 2025, 1.8 billion people will be living in places classified as water scarce. ”Water is everywhere, yet access to it, for drinking and for growth – is a major challenge we continue to face” the president said. President Sirleaf said water, as any investor knows, is not only for drinking but is also important for industries that utilize it in their production processes, such as beverage manufacturers, water bagging and bottling companies, restaurants, hotels, textile manufacturers, mining, value-added agriculture such as canning and juice-making, among others. Africa, she added, has seen a rise in its growth and progress over the last decades due to endowment in its natural resources, economic and political reforms. She said the continent has also seen the development of more prepared institutions in dealing with changing dynamics, the growth of democracy in Africa and Africa’s over all transformation aided by good roads network, trade and investment. 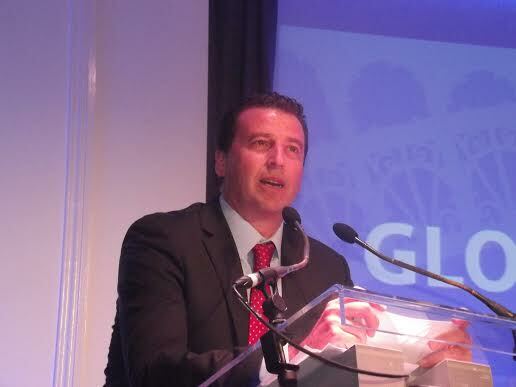 Speaking earlier, the Chief Executive Officer of Abengoa, Carlos Cosin, a global water innovative technology company, called for collaboration in addressing the lack of quality and accessible water. Mr. Cosin who runs a company that convert biomass into biofuels and produces drinking water from sea water said partnership and networking will be required in enhancing the quality of water which has been affected by climate change and other human activities. 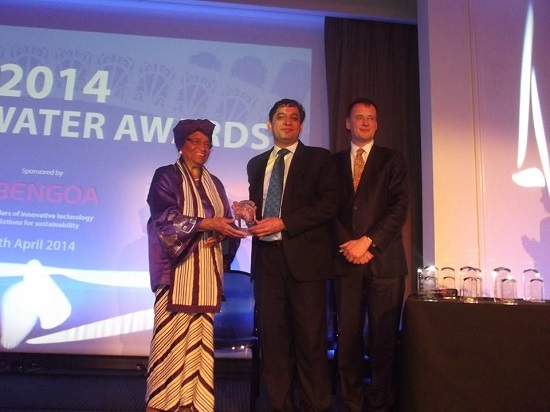 At the event, President Sirleaf presented awards to several winners of the 2014 Global Water Awards in the areas of Water Reuse, Waste Water, Water Technology and Water Purification. She is currently serving a second two-year term as Africa’s Goodwill Ambassador for Water Sanitation and Hygiene (WASH). Each year, the Global Water Awards are presented to the most important achievements in the international water industry, voted for by readers of Global Water Intelligence magazine and the Water Desalination Report (WDR), and members of the International Desalination Association (IDA) and the International Private Water Association (IPWA). The President and delegation departed Paris for Monrovia on Tuesday, April 8, 2014, after a three- country European tour that included Brussels, Belgian; Rome, Italy; Paris, France.